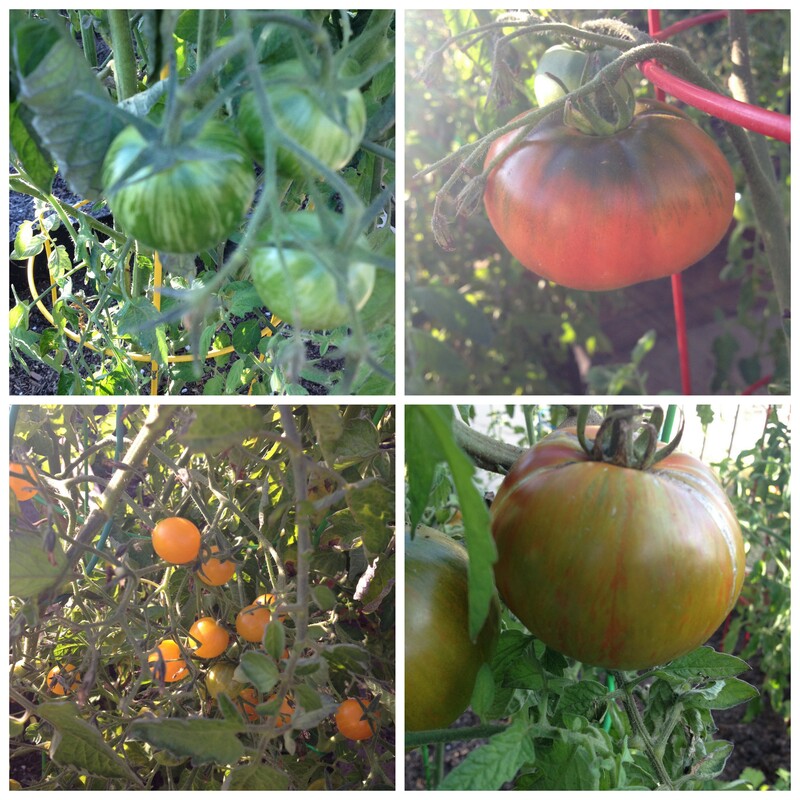 After many trials and tribulations, my husband has successfully grown some heirloom tomatoes. It was way more work (blood, sweat, tears and a few choice words), than he thought it would be…but WELL worth it! 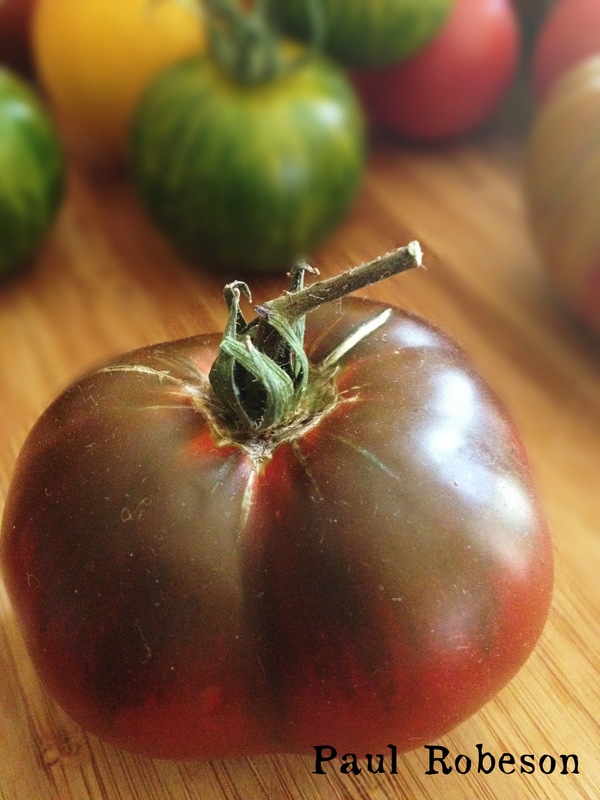 If you haven’t had a home-grown tomato, whether it be from your garden, a friend’s, or the farmer’s market, you really don’t know what at tomato is supposed to taste like. These little wonders are the JUICIEST of Bites! 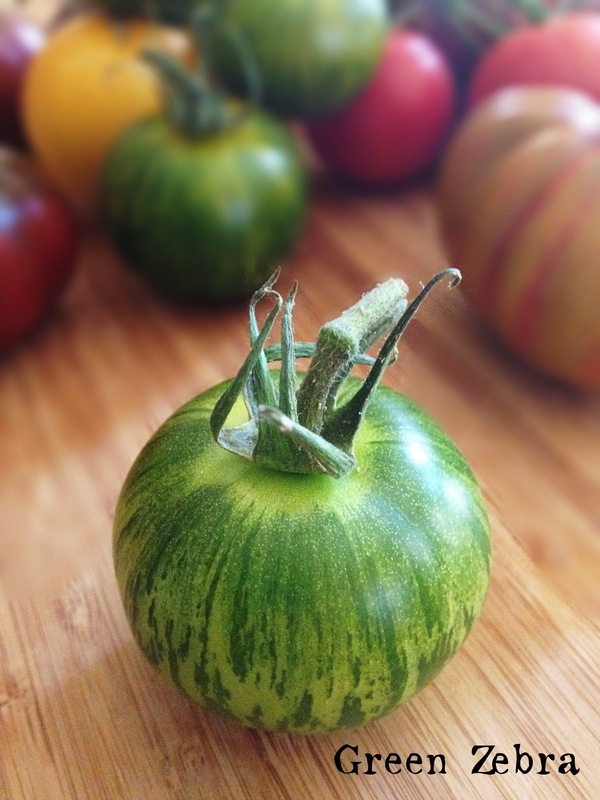 Green Zebra…sweet and tangy. My son Max’s favorite. These little guys are to die for. So sweet! Our backyard garden. I take NO credit for this…It’s all my hubby. I’m so proud of his first crop! 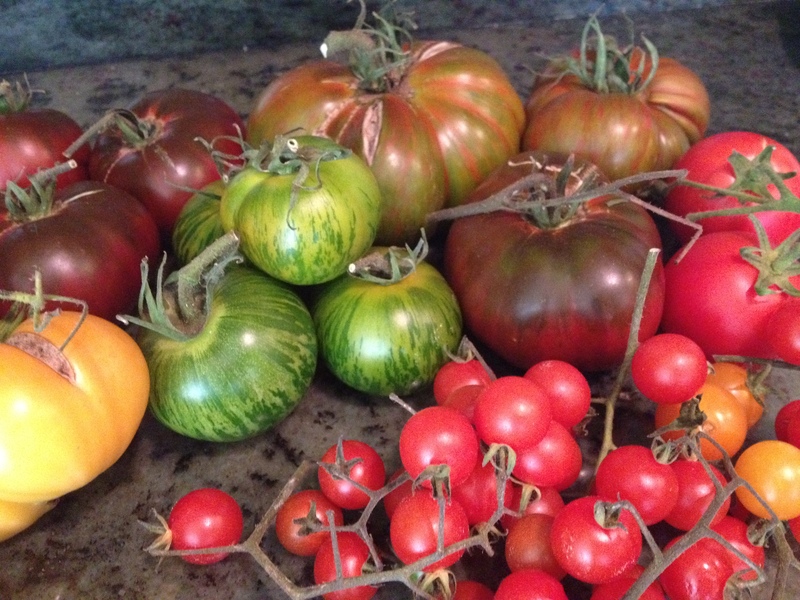 These tomatoes are so tasty sliced up with a drizzle of olive oil and some salt & pepper. I made a pasta dinner with them last night and they were definitely the star of the dish. 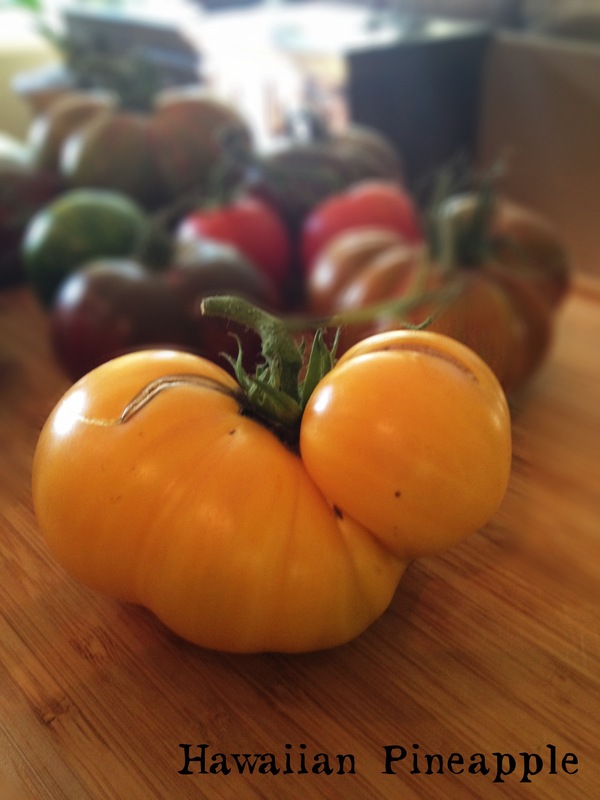 Heirlooms aren’t the tomato you would want to make a sauce with. I think their flavor shines the most when they are left uncooked. 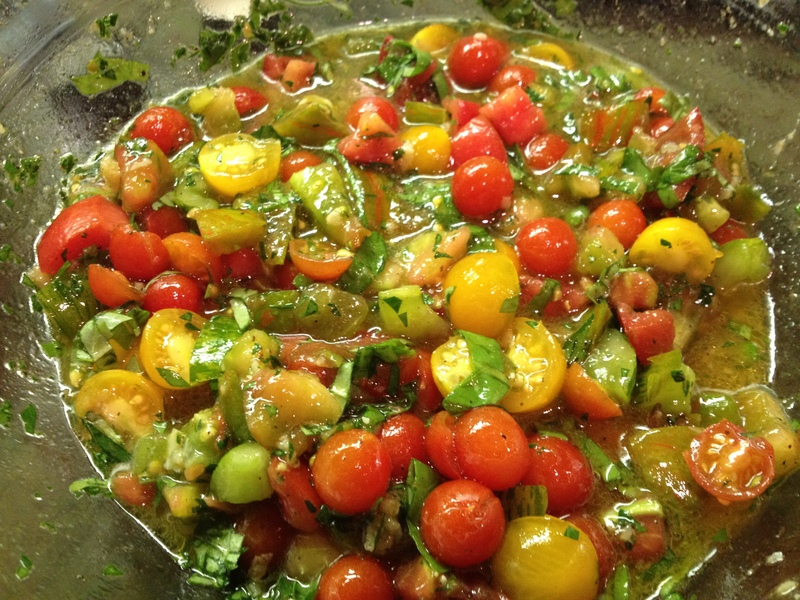 For this super simple summer dinner all I did was chop up a few of the tomatoes (cut the little cherries in half) and “marinate” them in some really good olive oil with a little minced garlic, chopped basil and Italian parsley, kosher salt and fresh cracked pepper. 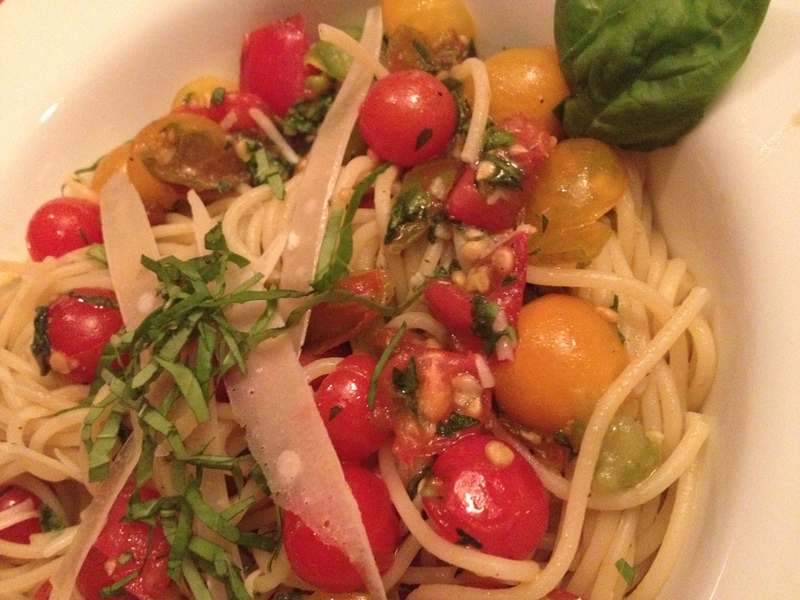 The tomatoes give off some of their juices and create the most delicious sauce to toss your warm pasta in. Top that with some shaved aged Parmigiano-Reggiano…absolute heaven. I seriously could eat that pasta every day. Amazing flavor and so simple. 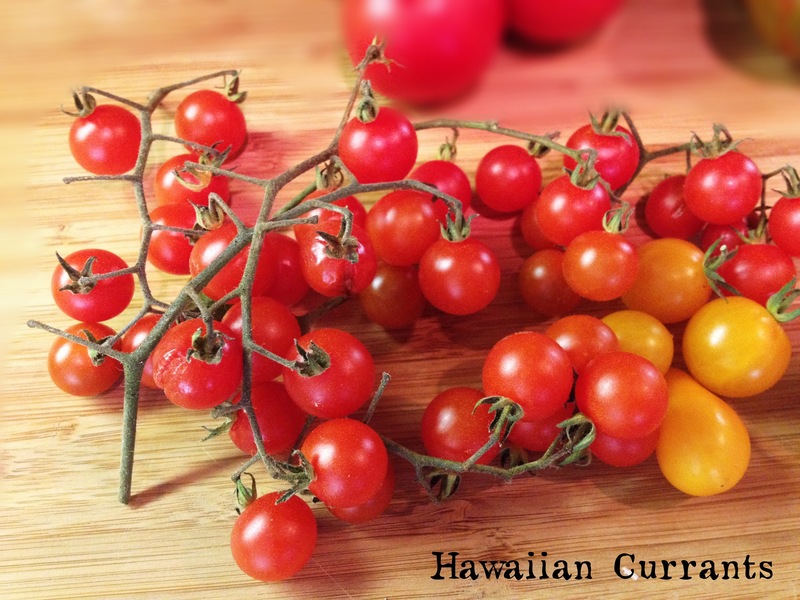 Roughly chop the bigger heirlooms and cut small tomatoes in half. Be careful to save any juice that they give off onto the cutting board. 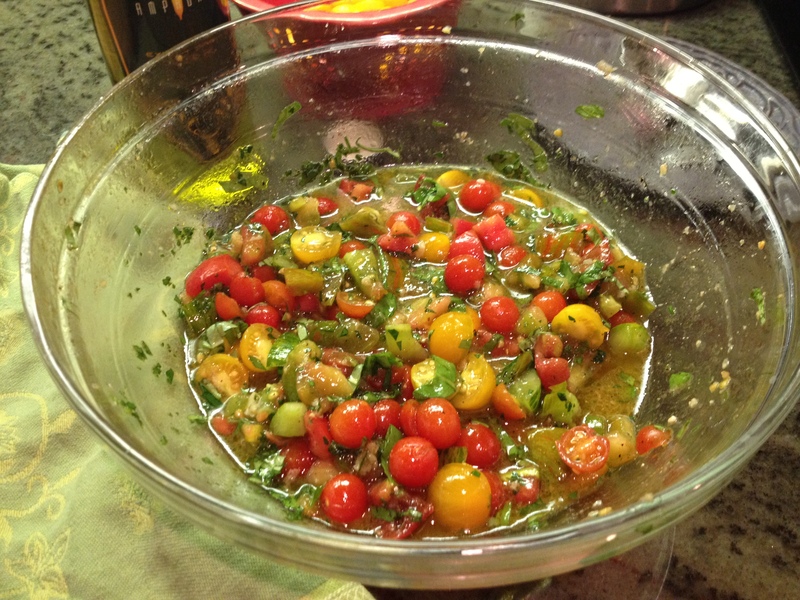 Combine the tomatoes, olive oil, basil, parsley, garlic and salt & pepper in a large bowl. Mix well and cover with plastic wrap for at least 30 minutes (mine sat for about 45 min). In a large pot of well salted boiling water, cook your spaghetti until al-dente. Before you drain, reserve a little of the pasta water. Drain and toss with the tomatoes. If it is a little dry, you can add some of your reserved pasta water. Taste for seasoning…you may need more salt and pepper. 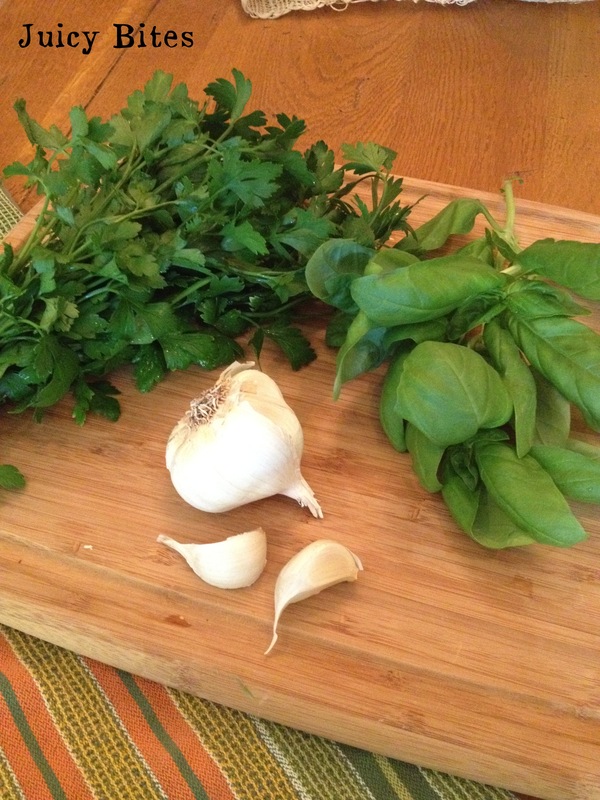 Serve with freshly shaved cheese and extra chopped basil. 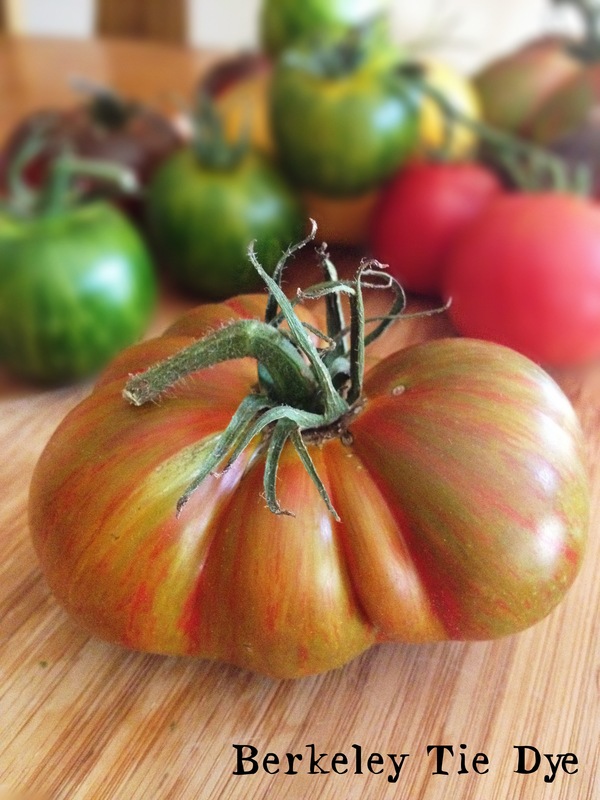 Do you have a favorite heirloom tomato? Or how about a recipe that uses them? Would love to hear from you! Looks gorgeous – congrats to you and the husband Rhonda! We tried this today! Though mine doesn’t look as pretty it is delicious and perfect for a hot summer night! 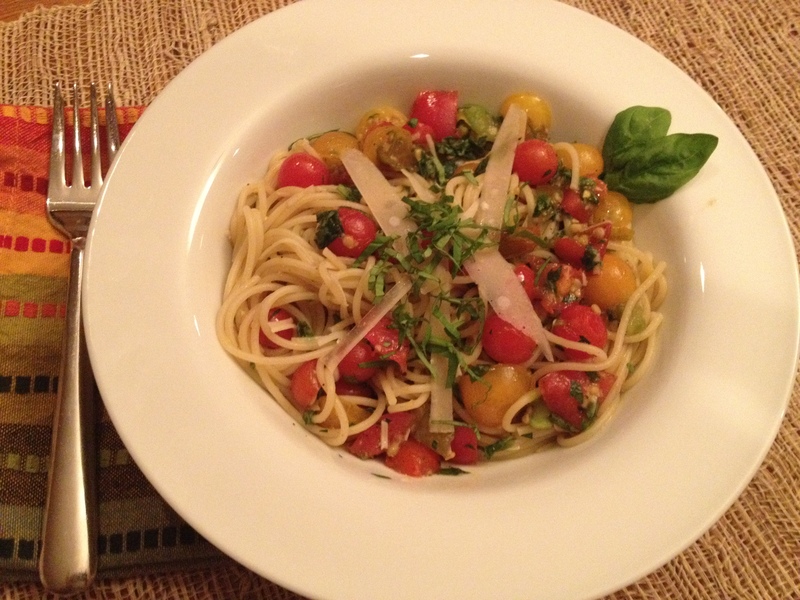 Yes…it is a perfect dinner for warm weather! Glad you liked it Melanie!